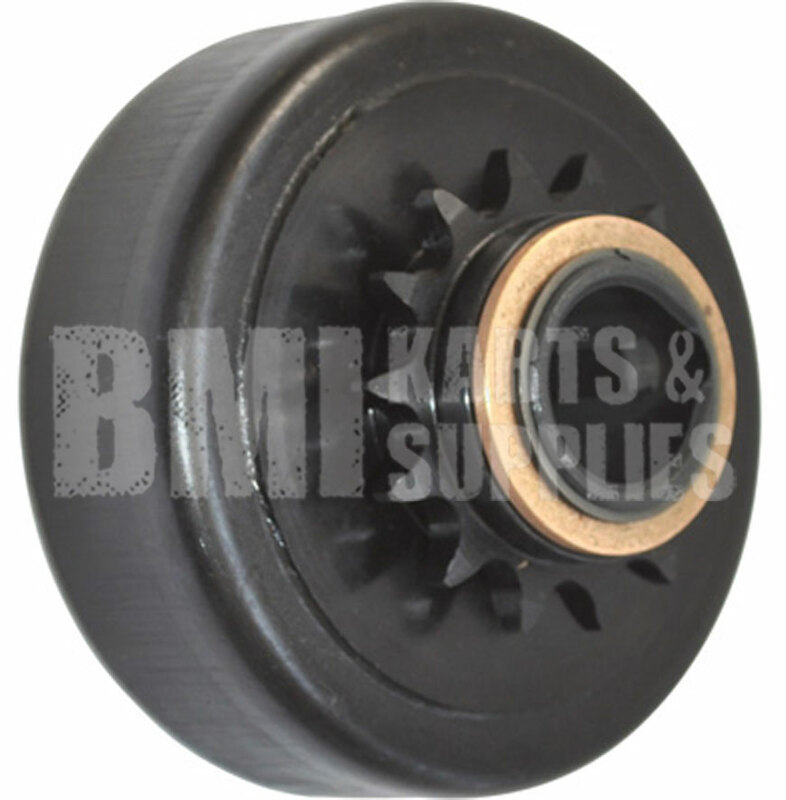 The Extreme-Duty Sprocket Centrifugal Clutch is ideal for the everyday demands of childrens yard-use go-karts. This clutch was designed to be a low-cost upgrade to the stock unit. A thermodynamically designed clutch shoe increases the clutch?s capacity to absorb heat without damaging the clutch springs, resulting in longer life and better reliability. Q: What chain and sprocket should i use with this clutch? I have a a 12 horse Honda motor with a one inch bore shaft I'm using it for a drift trike. A: The chain size is a #41, and can be purchase by the foot here. This sprocket (Azusa #40/41 Chain Sprocket (Split) is compatible with that clutch. It is recommended to get a 5:1 gear ratio, so your sprocket teeth count should be around 70. However, the total outside diameter of the sprocket may be to large for your application. Here is a Sprocket Diameter Calculator, this is a useful tool.